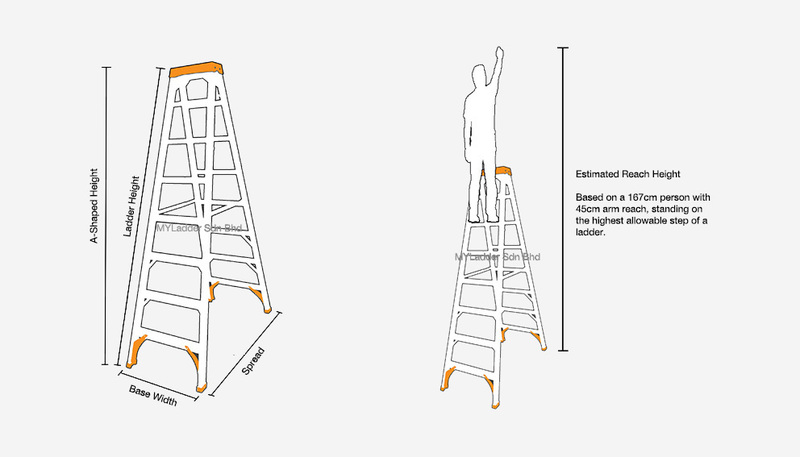 - Upgraded heavy duty steps for superior strength and durability. 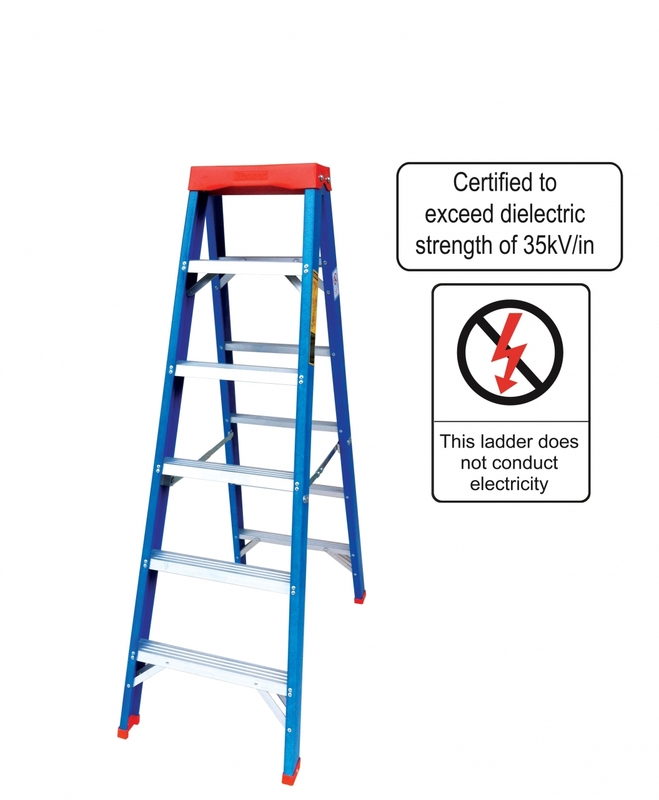 Superior to all standard stepladders in the market. - Includes our innovative TanglePruf® feature for increased service life. - Comes with added feature of a tool tray, makes work so convenient instead of climbing up and down to pick up fallen tools, nails, clips or screws! - Our fiberglass material is independently verified to have dielectric strength exceeding 35 kV/in. -Tested by SIRIM and complied to BS EN 131 Standard.